Chocology Unlimited | Chocology Today tagged "Chocology Unlimited"
In the western world, chocolate is everywhere - the local corner store, the big box chains, on the Internet and of course in small boutique chocolate shops. We eat chocolate to be happy, to be healthy and to celebrate our lives. Our demand for chocolate is evident, but have you ever wondered how a small hard bean turns into a silky smooth chocolate bar? 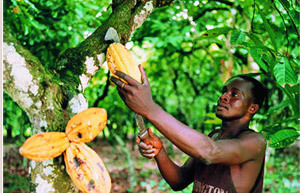 Collaborative efforts of many people and many countries are imperative when transforming bean to bar. From third world growers to western manufacturers, every step impacts the quality of the chocolate we eat. Chocolate means different things to different people. Artful attention to detail and a commitment to craftsmanship are vitally important every step of the way. 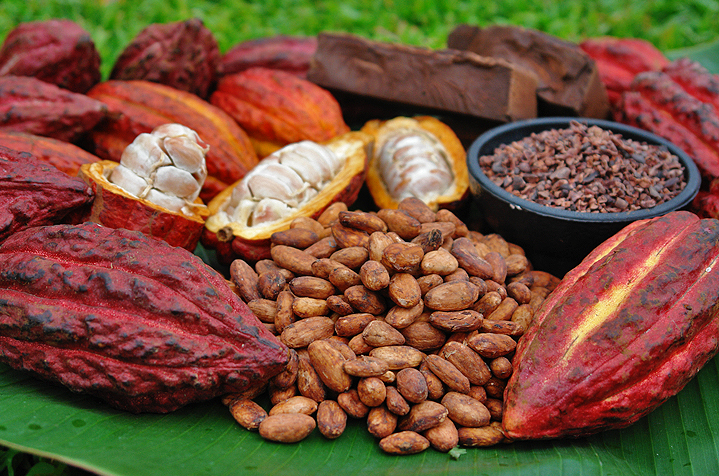 Cacao is valued worldwide as a trade commodity, local food and manufacturing product. For the next two weeks, let's explore, from the ground up, how chocolate is made - from bean to bar. It might inspire you to appreciate your chocolate just a little bit more. 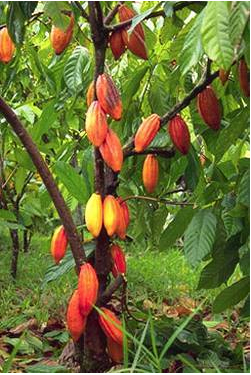 Many of the farmers who produce the cacao have never tasted a chocolate bar. The cacao trees are a source of community, spirit and livelihood among the farmers and their commitment to growing a quality product touches the world. 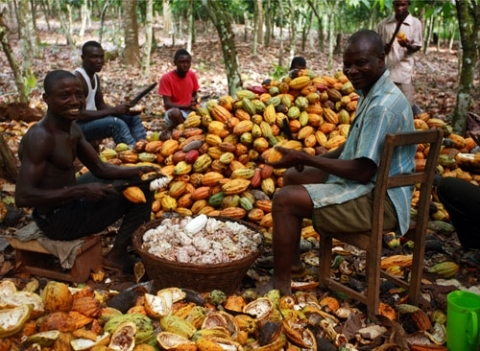 Without the farmer, there would be no chocolate. Join us next week as we follow the next phases of the chocolate journey. Making it Personal: What's Your Favorite Chocolate? Want to help Chocology kick off its North American online store? Well you can and we hope you will! By now, you may be getting to know us a little better. You’ve learned about our family, our staff and our values. We love all things chocolate and want to expand our research and bring fun education and great chocolates to our customers. Now, you can help by letting us get to know you. We’ve tried every kind of chocolate, from bacon dipped delights to rose petal truffles. With so much to choose from, your input is invaluable. While we at Chocology love all chocolates, we do have our preferences. And we know you do too. What would you like to see line the Chocology shelves? We strive to satisfy your chocolate wishes. How better to do that to cultivate a direct relationship with you and find out what you like? Are you more conservative with your chocolate or do you like to live on the edge? Do you want to stick with what you know or try new things? Please take a moment to scan through our poll and give us your thoughts in the "Leave a Comment" section. Poll Questions: [polldaddy poll=8157805] [polldaddy poll=8157814] [polldaddy poll=8157860] Thanks for your responses. As we get to know you better, we feel confident we can better serve you and your chocolate needs. The results of our poll will be posted in a future blog post and of course will be reflected on our Chocology shelves. [caption id="attachment_233" align="alignleft" width="271"] Pizza and Ice Cream Party! [/caption] Madeline’s Innovative Thinking Pays Off We at Chocology pride ourselves on personalizing every experience. Our 12-year-old cofounder, Madeline is no exception. With her big ideas and out of the box thinking, she keeps us hopping with new possibilities. Madeline and her mom Linda had just attended a girls club meeting where a party for the girls was being planned. Madeline was in charge of providing the treats. As she and her mom drove home, Madeline sat in the passengers seat deep in thought. Conversation bubbles seemed to dance above her head. Pizza party or ice cream social? What should I choose? What would be the most popular option? What will get everyone excited? Suddenly, Madeline exclaimed, “I’ve got it, Mama! Why can’t we have both? Chocolate on top of pizza crust with ice cream!” Linda smiled and veered off the road toward their favorite Whole Foods grocery store. With loving care they picked out all natural light multigrain cocoa pop cakes, which would become the pizza crust for their new creation. They also chose a variety of chocolates; dark, semi-sweet and milk. Ingredients in hand, they set out to make Madeline’s creation a reality. Since the Johnson family normally eats dark chocolate, the milk chocolate proved to be a bit tricky to work with on their “pizza dough.” But their diligence paid off and the pizza crusts were brought to fruition. Next, they worked on presentation. Linda had the idea to call their favorite pizza place in New York and tell them what they were doing. To make the pizza experience fun, she asked to buy 10 personal pizza boxes to present Madeline’s treats in. The pizza place loved it. “Come on in…,” they said. When they arrived, Linda and Madeline were surprised that the pizza shop not only provided boxes for the girls, but plates, bags and t-shirts as well. With ice cream in tow, Linda and Madeline made their “pizza” delivery to the girls club. The delight on the girls’ faces was all Madeline needed, to know that her idea was a success. Madeline’s drive to create limitless possibilities is an inspiration at Chocology. She knows that sometimes we don’t have to choose. Sometimes we can have it all! Linda’s “Ooops” Moment So much goes into starting a new business; planning, purchasing, advertising and much more. Linda loves her chocolate business, but at times her mind spins with the conversions that are necessary for the operation of Chocology, an international company. It was time to get ready for the big U.S. launch promotion. 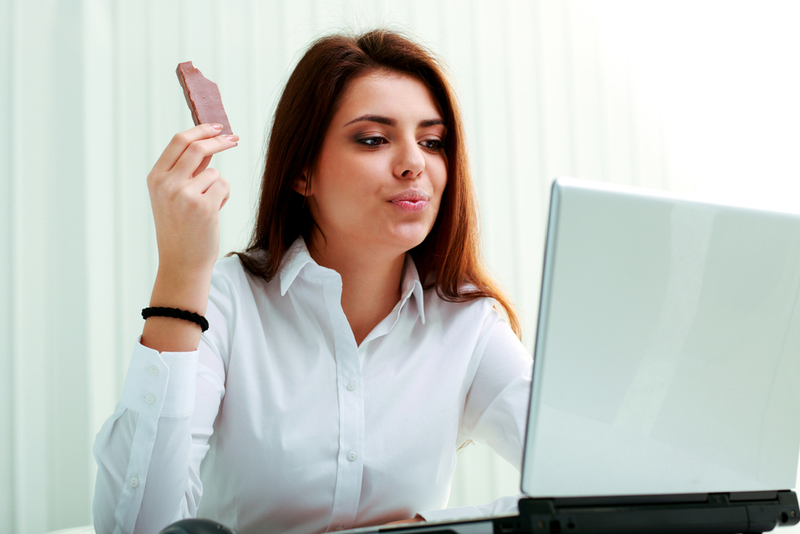 Needing to order chocolates that would be offered as samples to potential customers, she sat down with her computer to make the online purchase from her Belgian Chocolatier. Making her selections was fun. Her focus on personalizing her sample products was at the forefront of her mind. She excitedly hit the place order button. Ahh. The order was complete. The confirmation flashed to the screen. She did a double take. Wait! Did I just order 1,440 pounds of chocolate? Oh NO!! I’m ordering samples, not stocking all of the Whole Food Stores in the U.S.! Grabbing her phone she hit speed dial to her Belgian supplier. They laughed over her blunder and then got it corrected. All was right in the world. Luckily Linda knows that these things are bound to happen when running a business. We are human after all. Mistakes turn to learning experiences and she definitely learned one here. Always double-check the Kilo/Pound conversion. Always… Our North American promotional chocolate will be going out the second week in July. If you would like to try a sample, please contact us at Linda@chocologyunlimited.com. Bon appétit!